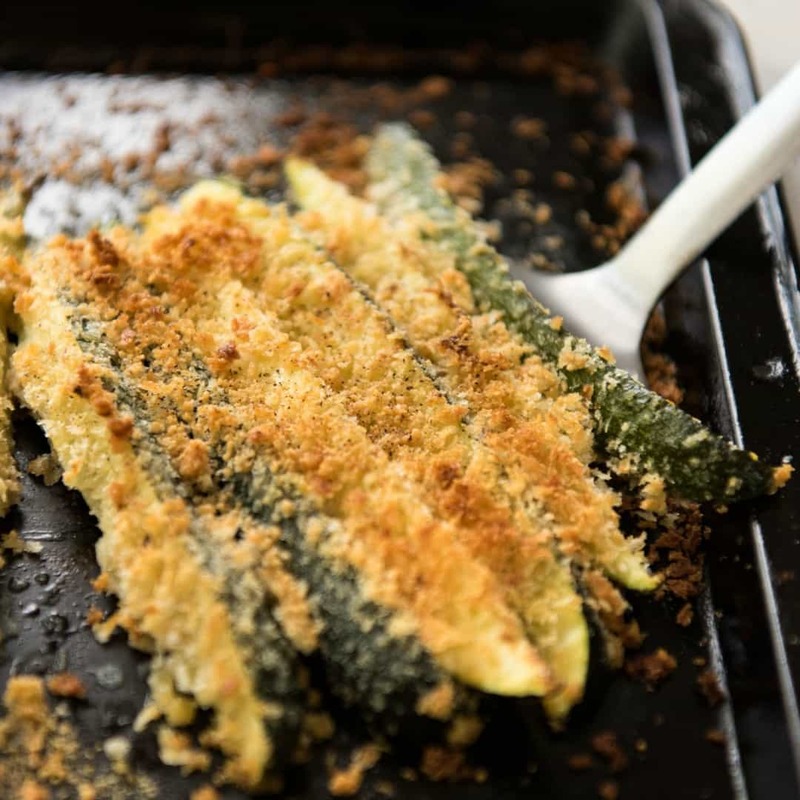 This Super Easy Parmesan Crusted Zucchini takes about 2 minutes to prepare and 10 minutes to cook. It’s a brilliant super quick vegetable side! 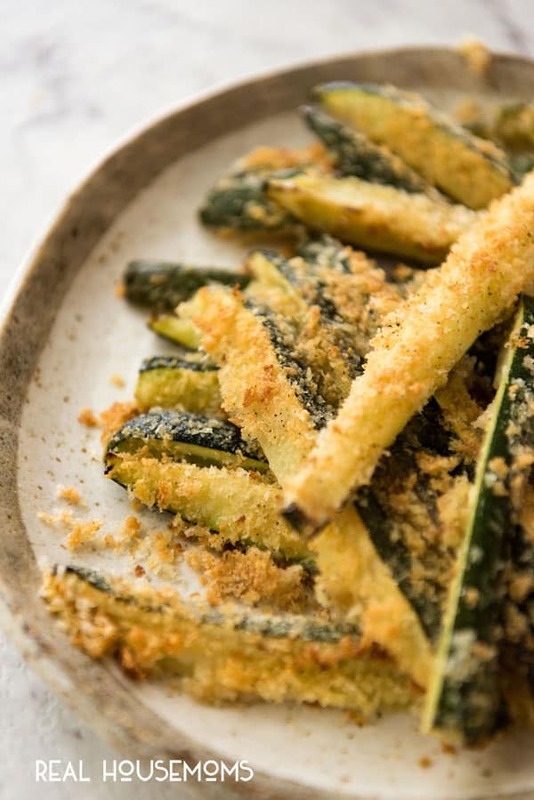 This Super Easy Parmesan Crusted Zucchini is one of those fabulous base recipes that lends itself to all sorts of possibilities to dress it up even more! Just think – add a sprinkling of herbs and spices, some garlic, lemon zest or juice. Simply beautiful! I feel almost embarrassed putting up a recipe as easy as this. It is barely a recipe. But you know what? The way I make this Parmesan Crusted Zucchini is probably the most used quick vegetable side dish in my arsenal. It’s insanely quick, it’s all prepared on the tray – i.e. no tossing the vegetables in a separate bowl – and it’s super versatile. I use this same method for so many vegetables – like asparagus, beans, broccolini – basically any vegetable that is reasonably thin or can be cut into thin strips that cook in around 10 minutes under the broiler. I’d say zucchini and asparagus are my two favorite ways with this recipe. 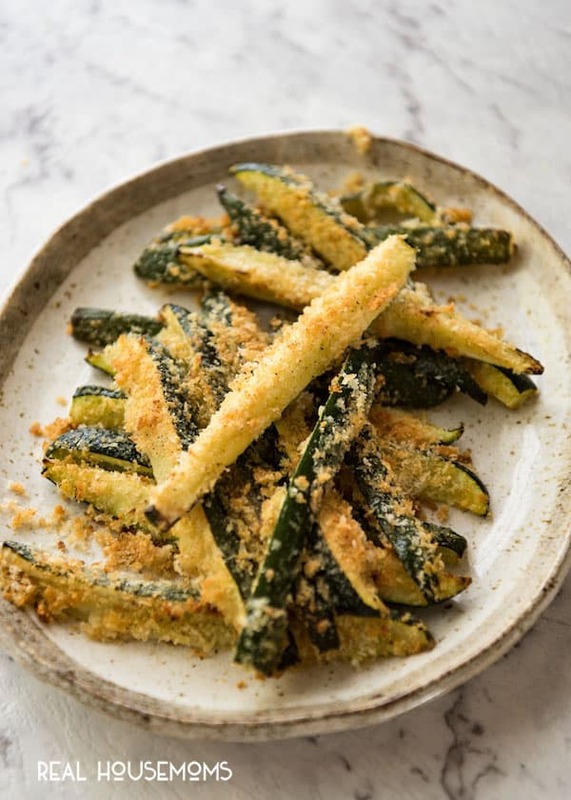 I think that the broiling time to make the parmesan breadcrumb crust beautifully golden makes the asparagus and zucchini just perfectly crispy/tender. Green beans can be a touch softer than ideal and broccoli does tend to get some darker brown spots, simply because of it’s shape. 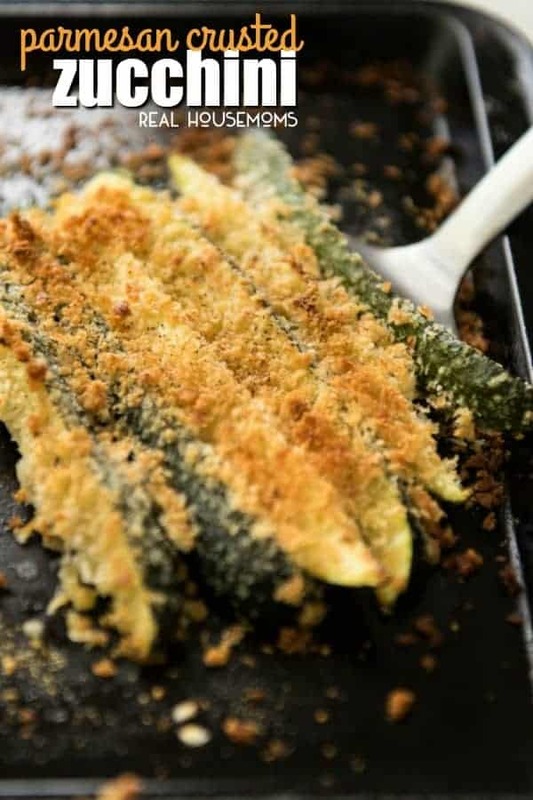 This Super Easy Parmesan Crusted Zucchini takes about 2 minutes to prepare and 10 minutes to cook. It's a brilliant, super quick vegetable side!